Taiga Ishikawa has been elected Japan’s first openly gay politician after winning a seat in the Tokyo ward assembly in local elections on Sunday. Prior to his victory, no openly gay politician had ever won office in Japan. 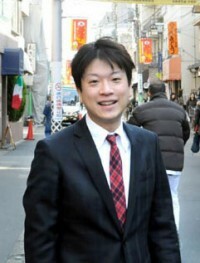 Ishikawa, 36, said that he hoped his victory would help LGBT people. “I hope my election victory will help our fellows nationwide to have hope for tomorrow, as many of them cannot accept themselves, feel lonely and isolated and even commit suicide,” he told AFP. “Many LGBTs, or sexual minorities, realize the fact when they are at elementary and junior high schools, many of which are operated by the municipality,” Ishikawa said. Ishikawa revealed he was gay in his book “Boku No Kareshi Wa Doko Ni Iru” (Where Is My Boyfriend? ),”published in 2002.